SPELLING-This week we are working on Unit 21. The words are: different, help, why, away, put. Please continue to practice old words along with the new ones. READING-We have been working really hard on comprehension strategies while reading our books. Most of the children have been coming home with reading logs. The reading logs help the children stop and think about what they are reading. We are also working on having conversations about we are reading. It’s really hard for 2nd graders to have a conversation about what they are reading and discuss their thoughts. When your children are working on their logs talk to them about what is happening in the book and start a conversation about their reading. MATH-We have just finished Unit 6. The next unit will work a little different. In order to work on the math essentials for the third quarter we have to take pieces from the next 3 units to accomplish all the essentials for the next report card. The next test will be the 3rd quarter assessment for the report card. SOCIAL STUDIES-We are working on a short unit on American Symbols. We should be finishing it up this week with the test planned for the beginning of next week. 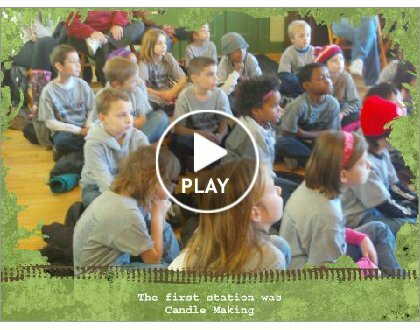 MORLEY CANDY FACTORY-On Tuesday morning we will be going to the Morley Candy factory. The trip is a nice ending to our Social Studies Needs and Wants unit. Take a peek at our crazy hats!!! This week we participated in Read Across the Planet! We performed a play for Carmalt Academy in PA. The kids had a great time practicing and performing a retelling of Where the Wild Things Are. Mrs. Kuras video taped the performance and as soon as we firgure out how to post it I will!!! They did such a great job I really want to share it with you! Today we read a wonderful story, Snowmen All Year. In this lighthearted, funny follow-up to the previous Snowmen bestsellers, our young narrator dreams of a non-melting snowman friend who joins him for all of the year’s events. They ride a roller coaster together, dive into a swimming pool in the summer, watch the Fourth of July fireworks, and trick-or-treat on Halloween. Today we read a super funny story by Robert Munsch! He is a wonderful author who makes you laugh out loud! Brigid is on the trail of the ultimate felt marker. At first, she’s satisfied to be drawing wonderful pictures. But soon she must have the markers that wash off with water. Then she needs the markers that smell. But she’s happiest when she gets the super-indelible-never-comes-off-till-you’re-dead markers. She draws brighter-than-real lemons and roses and then goes too far: Brigid draws on herself. Nothing will remove the color, so Brigid reaches deep into the box of markers, finds the people-colored marker, and covers up all the other colors. She looks better than before, too good to be true. 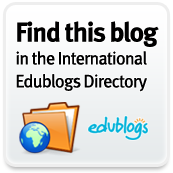 Click on the book below to link to Robert Musch’s site. He reads the books to you! 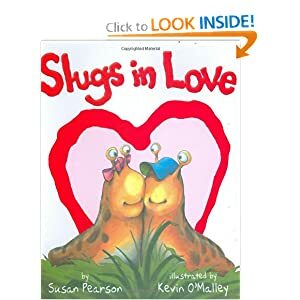 This week we read a cute story called Slugs in Love. Marylou loves everything about Herbie-how his slime trail glistens in the dark, how he can stretch himself thin to squeeze inside the cellar window, and how he always finds the juiciest tomatoes. But Marylou is a shy slug. How can she get Herbie to notice her? Find out how Marylou woos her beloved in this “must-have” love-story that’s perfect for Valentine’s Day. Today we had the chance to work with our fifth grade buddies. We sorted and compared conversation hearts. The children really enjoy working with the 5th grade. It gives the kids a great opportunity to learn and have fun at the same time! Last week the MSU extension came to our school for a water conservation program.